Morocco is pinning its hopes on three prominent athletes in the 43rd World Cross Country Championships. Rabat – Morocco is sending four senior athletes to the 43rd World Cross Country Championships in Aarhus, Denmark, on March 30. 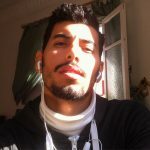 One of the athletes is Abdalaati Iguider, 32, a seasoned middle distance runner who has represented Morocco in various championships since 2004. 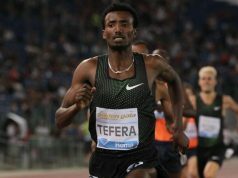 Iguidor won bronze at the London Olympic Games and the IAAF World Indoor Championship title in 2012 for the 1,500 meters. In 2015, Iguider became the eighth fastest ever to run the 1,500 meter at the Herculis Diamond League in Monaco. 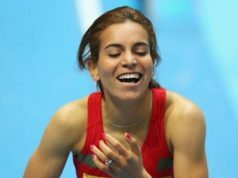 Rababe Arafi, 28, will also be competing in Denmark. 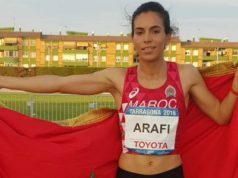 An outstanding athlete, in 2018, Arafi was the only athlete to secure a double victory at the Mediterranean Games in the women’s 800 meter and 1,500 meter. Arafi also earned three medals at the African Championships in Athletics in 2012. A steeplechase runner, Soufiane El Bakkali, 23, is the third senior athlete on his way to Denmark. He secured first in the 3,000 meter steeplechase race in 2018 in Spain and won second place at the African Championships in Asaba, Nigeria, the same year. Kaoutar Farkoussi, a 23-year-old long-distance runner, rounds out the senior Moroccan team. 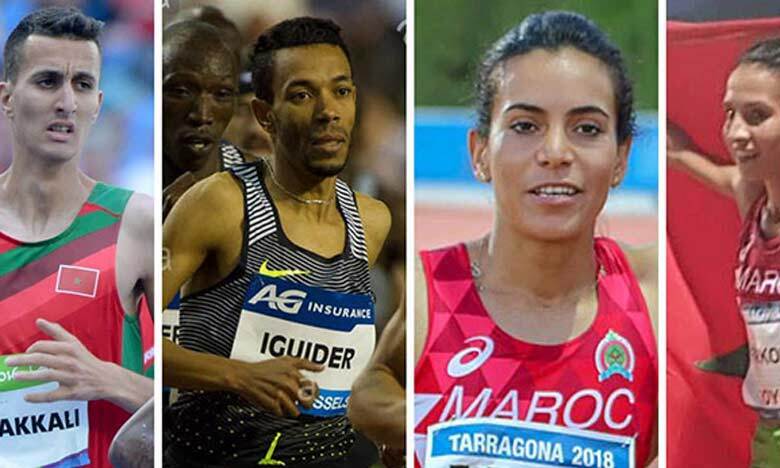 The Royal Moroccan Federation of Athletics (FRMA) announced the runners on its website. In preparation, the athletes are undergoing an intensive training period in Ifrane, a city in the Middle Atlas Mountains known for its ideal atmosphere for athletes, according to Anfas Press. Although FRMA is only sending four senior athletes to Denmark, it has a more robust junior squad. Eleven junior athletes, five boys and six girls, will be at the start line of the world championship. Morocco hosted the World Cross Country Championships twice, in 1975 and 1998. In retired professional runner Hicham El Guerrouj’s view, the situation of athletics in Morocco has become dismal. 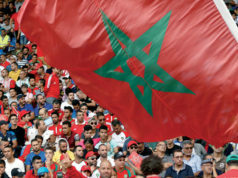 Morocco enjoyed a formidable reputation in running in the 1980s and 1990s thanks to professional athletes like Hicham El Guerrouj, whose trailblazing trajectory, along with the prowess of Nawal El Moutawakel, Said Aouita, and others, is still a source of pride for Moroccans. A retired Moroccan track and field Olympian, Said Aouita, now 59, won gold in the 5,000-meter at the 1984 Summer Olympics and the 1987 IAAF World Championships in Athletics and won gold in the 3,000 meter at the 1989 IAAF World Indoor Championships. Called the Moroccan sportsman of the century, Aouita set five outdoor records for the 1,500-meter, 2,000-meter, 3,000-meter, 5,000-meter, and two miles. 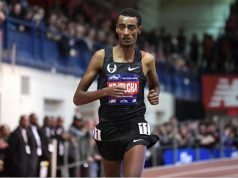 He also set a record for the indoor 3,000 meter. 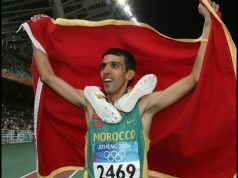 After Aouita began losing ground to Algerian athlete Noureddine Morceli in the 1990s, El Guerrouj, a middle-distance runner, won Morocco’s pride back. El Guerrouj still holds the world record for the outdoor 1,500-meter, 1 mile, and 2,000-meter events. He also held the indoor world record for the 1 mile and 1,500-meter events from 1997 up until February and March this year. The first Moroccan to win a world championship medal after Said Aouita, the now-retired 44-year-old El Guerrouj is regarded one of the best middle-distance runners globally. At the 2004 Summer Olympics, he was the first to win both the 1,500-meter and 5,000-meter at the Olympics since 1924. In a nine-year span, El Guerrouj competed in 68 1,500-meter races, winning 63 of them. Nawal el Moutawakel, 56, made history for Moroccans after winning her first medal in the Los Angeles Olympics in 1984 in the 400 meter hurdles, making her the first Arab, African, and Muslim woman—and the first Moroccan athlete male or female—to win a gold medal at the world stage in that event. According to Jeune Afrique magazine, she was also ranked among the 50th most influential African personalities in the world in 2014. In an interview with Radio Mars, Hicham El Guerrouj expressed despair at the condition of athletics in Morocco earlier this year. Especially for those coming from lower social classes, El Guerrouj said they are not given the opportunity to showcase their talents.